From early planning advice to emergency payroll for imminent work, Link Global Management can help you with your work arrangements. Get in touch with one of our advisors now using the phone number at the top of the page, or use our online form and email services. The presence and employment of expatriates in Nigeria are restricted. Government regulations and policies allow the presence and employment of expatriates whose entry will benefit Nigeria and not compromise the security of the country. The Nigeria Immigration Service of the Federal Ministry of Interior processes applications for entry into Nigeria and for employment of expatriates in Nigeria. Temporary employment visas are granted to expatriates on short visits to undertake specialized jobs. These applications are made in Nigeria directly to the Comptroller-General of the Nigeria Immigration Service by companies and organizations responsible for bringing in the expatriates. Specific information about the expatriate and the nature of the job must be furnished. Expatriates may transfer from one company to another if the prior consent of the Comptroller-General of the Nigeria Immigration Service is obtained. To obtain consent, the previous employer should signify in writing that he or she has no objection to the change of employment, and the employee should apply for the transfer to the Comptroller-General of the Nigeria Immigration Service. If the applicant is a married woman, her husband must give his consent in writing. A valid expatriate-quota position for the applicant must be available. The mandatory minimum contribution to the Nigerian Pension Scheme is 15% of an employee's total income. Employers and employees each make contributions equaling 7.5% of total income, resulting in a total contribution of 15% of total income. Total income is defined as the sum of basic salary, housing allowance and transport allowance. National Housing Fund. Nigerian employees earning a minimum of NG N 3,000 per year (approximately US $19) must contribute 2.5% of their basic salary to the National Housing Fund. 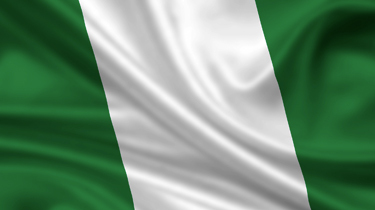 Thinking of contracting in Nigeria? » Privacy Notice Your privacy and personal data is important please see our Privacy Notice for further information. When we say ‘personal data’ we mean identifiable information about you, like your name, email, address, telephone number, bank account details, payment information, support queries, community comments and so on. This in additions to any personal data which we have a contractual or legal need to store and process in order to deliver our services to you. I confirm my consent for Walker Smith Global Ltd to store and process any personal data provided on this form in order to process my online enquiry on submission of this form. Your consent is needed in order to process and store personal data as part of your online enquiry to Walker Smith Global Ltd.